Pujya Swami Dayananda Saraswati is the illustrious disciple of Pujya Gurudev Swami Chinmayananda, Swami Pranavananda of Gudiwada and Parama Pujya Swami Tarandanda of Rishikesh. He is a teacher par excellence and has been unfolding, in English, the vision of Vedanta in its pristine glory to the modern mind for over fifty years in India and abroad. He has revived the parampara by designing and teaching long-term residential course in Vedanta and Sanskrit, which equips the students to become the teacher. His Gita Home Study Program and the texts prepared under his guidance for teaching children vedic heritage have succeeded in bringing the wisdom of Veda within the access of everyone. He is also taking effective steps to protect the Sanatana dharma and the indigenous traditions of the world and has launched the movement for caring u7nder the aegis of the all India Movement for Seva. Swami Paramarthananda is the distinguished disciple of Pujya Swamiji. He is a walking encyclopedia of Vedanta. He has been teaching Vedanta in different localities of Chennai from 1978. His classes are renowned for their appealing simplicity and astounding clarity. D.Venugopal is a student of Swami Paramarthananda and has also studied at Pujya Swamiji’s gurukulam at Anaikatti from 2002 to 2005. He is the author of the well received book, “Pujya Swamiji Dayananda Saraswati: his Uniqueness in the Vedanta Sampradaya”. Pujya Swamiji : Sri Venugopal is able to present the subject matter in all its details and subtlety. His unfolding of the vision is thorough and deft. He not only unfolds but analyzes with precision. His successful use of scholarship brings depth to his work. He makes the vision and all the related topics, immediate to the careful reader. I am sure that this book will be well received. I congratulate Shri Venugopal for bringing out this excellent manual, covering all important topics. I recommend this book to all spiritual seekers who want to study Vedanta in a sustemiatic way. 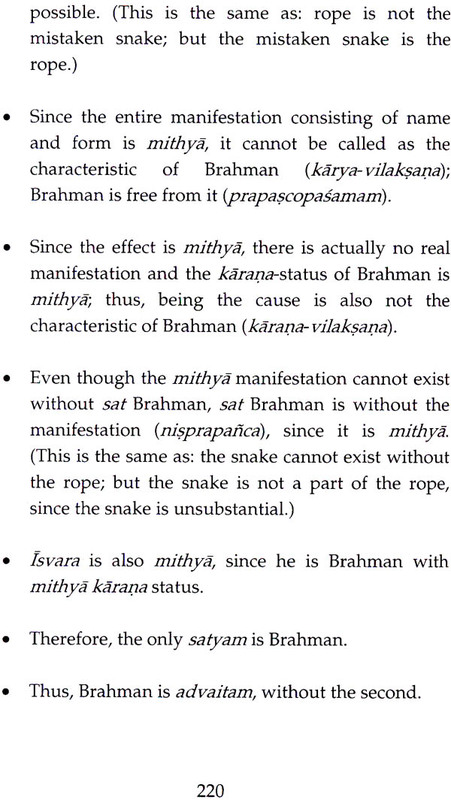 This is an admirable piece of authenitic work, which is true to the sampradaya. I recommend that all may make the best use of it. 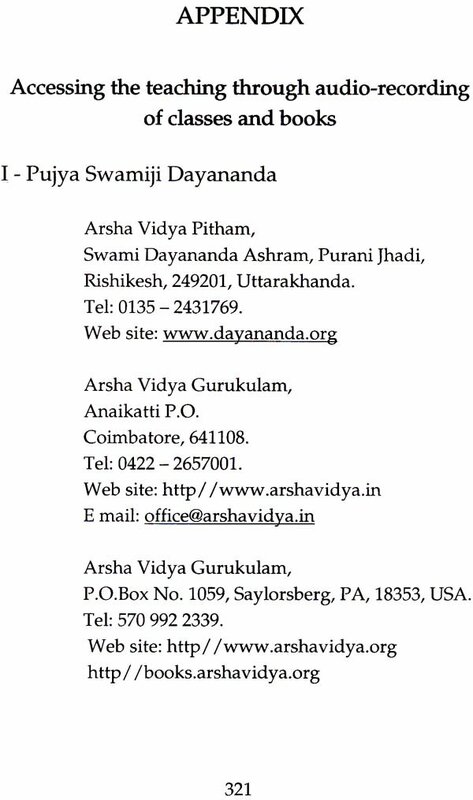 Sri Venugopal is offering another book as a compendium to his well-received book, Swami Dayananda Saraswati: His Uniqueness in the Vedanta Sampradaya. 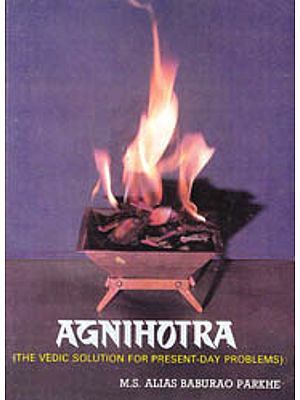 He discussed in that book in detail the status of Vedanta, and the methods employed in unfolding the non-dual truth. In this new book, he is presenting in detail what is Vedanta. An avid student of Vedanta for years, he is able to present the subject matter in all its details and subtlety. Vedanta, being not a system, consists of different prakrzv&s, methods to unfold what defies words, through words. It is a method employed to shift one’s own scale of vision - from the error of separateness to the reality of oneness. To capture this in a book, without committing the blunder of making it a system, is no easy task. The author is able to bring to his writing the clarity gained in writing the previous book, while handling the various priorities. His unfolding of the vision through these praknvãs, is thorough and deft. Positioning himself as a companion on a journey of discovery, Sri Venugopal makes the vision, and all the related topics, immediate to the careful reader. His successful use of scholarship as a tool while avoiding the trap of scholasticism brings depth to his work. He not only unfolds, but analyzes the subject matter with precision, and provides abundant, pertinent references to grate and smriti. Thus, this book not only makes the subject matter accessible to the new student, but is a valuable work for those who have had some exposure to the teaching. I am sure this book will be well received by those who are in the spiritual pursuit of Brahmavidya. 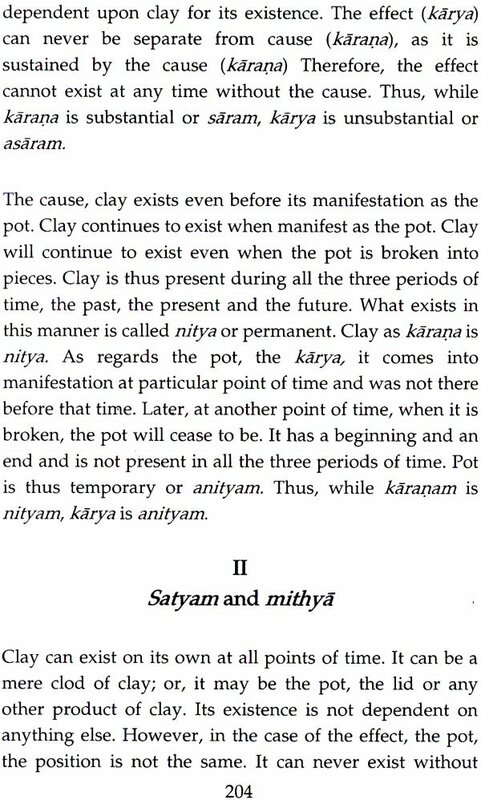 The final part of the Vedas is known as Vedanta. 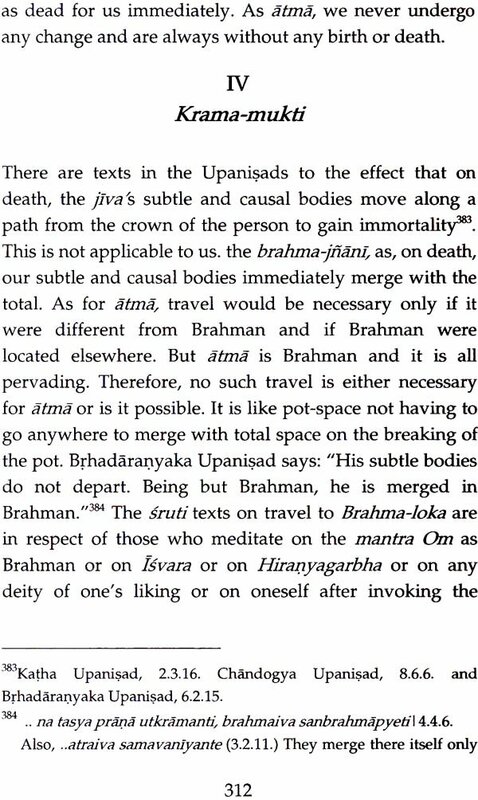 It is known by the name Upanisad also. Vedanta reveals the Truth behind the individual, world and God. Ignorance of this Truth and the consequent misconceptions regarding the individual, world and God are the cause of all human problems. By knowing this Truth, all the problems will either be solved or will never be seen as problems. This will bring about a big change in the quality of one’s life. The Vedantic scriptures will yield this meaning only when they are studied in an appropriate manner as unfolded by a traditional Guru. “Vedanta, the solution to our fundamental problem” is a book, which presents the Vedantic teaching as unfolded traditionally. The author of this book, Sri. D. Venugopal, has been a committed student of Vedanta under me for several years. Also, he participated in the traditional residential course at Arsha Vidya Gurukulam, Coimbatore under the guidance of Pujya Swami Dayananda Saraswati. He has brought out this book with the sole intention of making the traditional Vedantic teaching available to a lay person. I congratulate Sri Venugopal for bringing out this excellent manual, covering all important Vedantic topics. I recommend this book to all spiritual seekers who want to study Vedanta in a systematic way. Pujya Swamiji had approved and blessed the two writing projects that I had proposed to do on the completion of the residential course in Vedänta and Sanskrit conducted at the Arsha Vidya Gurukulam, Anaikatti from 2002 to 2005. The first is about the unique place that Pujya Swamiji occupies in the sampradya. This project was fulfilled through the writing of the book, “Pujya Swamiji Dayananda Saraswati: his uniqueness in the Vedänta SampradJya”. Pujya Swamiji released it during the Anniversary celebrations of the Gurukulam in November, 2008. It is being reprinted. The second assignment has been to write a comprehensive text on Vedanta for the use of the students attending Vedãnta classes as also to provide a clear and authentic account for those who have a serious interest in it. The present book “Vedanta: the solution to our fundamental problem” is the outcome of this commitment. Already, the book “Introduction to Vedanta (The Vedic View and Way of Life) by Swami Paramarthananda provides an ideal guide for the beginner. What this book seeks, is to be the next level of reading. Nevertheless, the book does not assume any knowledge of Vedänta on the part of the reader and deals with the subject right from the beginning. Care has been taken to make the narrative as easy and smooth as possible. 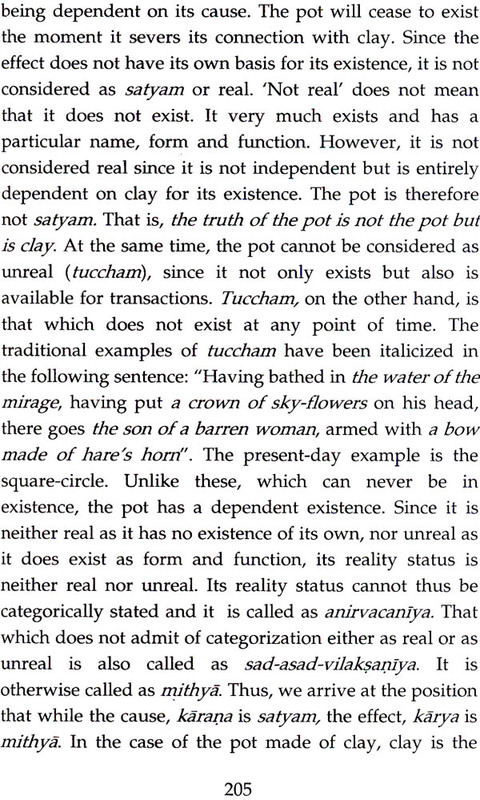 Citations from the original source have been given in the footnote. The book closely follows the method of unfolding of the vision by Pujya Swamiji and his ‘illustrious disciple, Swami Paramarthananda. Being a disciple of Pujya Swamiji, Swami Paramarthananda, Swami Siddhabodhananda and Swamini Pramananda has been a great blessing. They teach with great love. I owe to them whatever knowledge I have of Vedanta. But for them, this book would never have been written. I am ever indebted to them. I am especially beholden to Swami Siddhabodhananda. He has been kind enough to go through the entire typescript and make the necessary corrections. I must express my gratitude to Shri D. Natarajan, my brother, Mrs. Lakshmi Muthusamy, my gurubehan and Shri V. Sunderam of Bangalore for willingly rendering me the help that I sought of them. Along with my batch mates, I am indebted to Shri Kesav, Shri Michael and Shri Kayesh for making available to us the audio recording of the classes of our gurus. I am also grateful to my friend, Shri J. Veeraraghavan for enabling the book to reach a wider audience. Finally, the person who has been and continues to be a source of emotional and intellectual sustenance is Shrimati Vijayalakshmi, my wife. Having attended the long-term course, she has also contributed to the writing of this book. She has been keen that the book should be readable and be easy to understand. In conclusion, I seek the blessings of Isvara and our gurus so that the book may be of some benefit to its readers. The title, "Vedanta, the solution to our fundamental problem", will immediately raise the following questions in the mind of the readers. 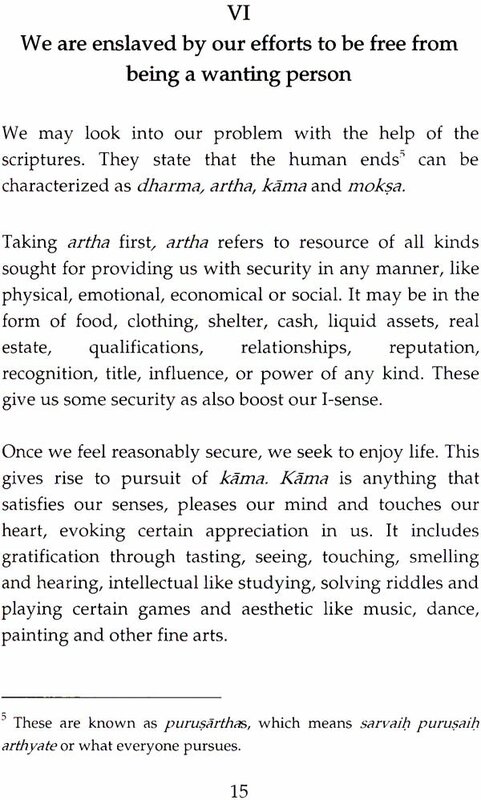 The first is, "What exactly is Vedanta? The others are, "What is considered to be our basic problem and how does Vedanta solve it?" While the entire book addresses these questions, they can also be briefly answered. Veda is a body of revealed knowledge handed down by teaching through countless generations to us. 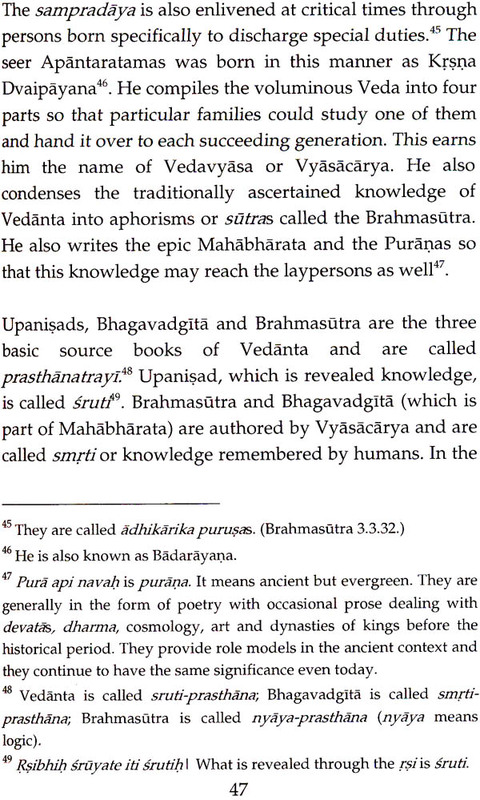 The latter portion of Veda is singled out as Vedanta owing to the uniqueness of its subject matter, which is self-knowledge. What self-knowledge can solve is self- ignorance and self-ignorance is the cause of our primary problem of insecurity and unhappiness. The fact that all of us are only occasionally happy indicates that we have a problem that is basic in nature. Generally, we handle the specific difficulties that we encounter to the best of our understanding and ability with different degrees of success. It is only when we are deeply affected that we want to go into the root of the entire matter impersonally. Arjuna, the celebrated vanquisher of enemies in the epic Mahabharata, is the typical example. He goes to Kuruksetra all set to win the battle within the clan. But, in the middle of the battlefield, he develops serious doubts as to whether it is the solution and forthwith converts his friend Krsna who is driving his war-chariot into a guru and seeks knowledge from him then and there. What Krsna teaches him is essentially Vedanta. Arjuna is lucky since he stumbles upon the most competent guru for getting the right knowledge to solve his problem. But, when we are similarly affected, it is very difficult for us to know that Vedanta is the correct pursuit, as many alternatives seem to be available to reach the basic truth. Not many of us also know about Vedanta and only very few of us are aware of its astounding usefulness here and now. Vedanta is entirely different from the various schools of thought and philosophy. It is revealed knowledge, which states that we have converted our life into a constant struggle for gaining security and happiness only because we have erroneously judged ourselves as individuals with limitations. It reveals that we are already without limitations, which is what we want to be. The seeker is the sought. The problem is one of self-disowning self- ignorance. Therefore, the solution can only be self- knowledge. No other tradition tells us this. They say that we will be saved if we follow their prescribed methods. 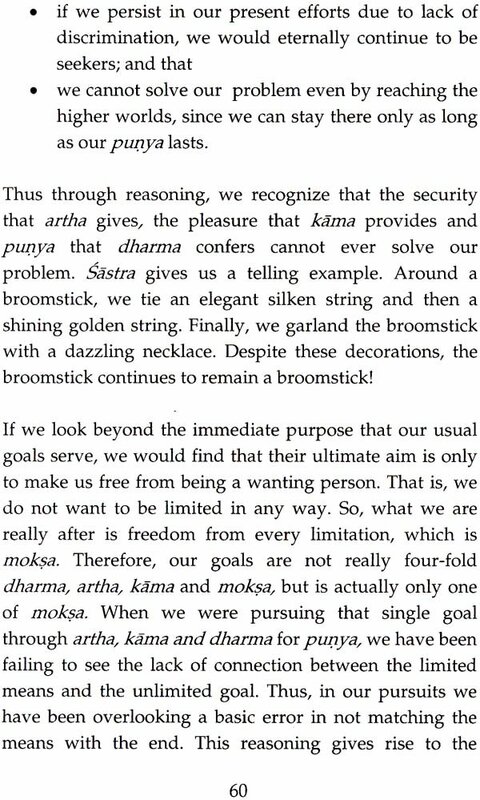 Vedanta, on the other hand, says that our true nature does not leave anything to be desired and that all that we require to be free is to know this recognizable fact without an iota of doubt and abide in it. No mysticism is involved in knowing it. It is the instant solution like switching on the light to be free from darkness. It affirms that sorrow has no legitimate existence. This is the reason why Krsna begins his teaching to Arjuna with the statement that his grief is unwarranted. This body of revealed knowledge has always been existing as a living tradition handed down through teaching from one generation to the next in India. It has survived many centuries of suppression only because of its intrinsic worth. Being knowledge, it belongs to no one group of people. If any other tradition says, "You are the whole," it is also Vedanta, regardless of what it is called and in which language it is. As knowledge, it is communicable by anyone who has correctly learnt it in full from a competent guru. So, it is not necessary that only an Indian should teach it. Again, as knowledge, it is available to anyone who is a qualified seeker. Its wisdom belongs to humanity. It is Indian only in the sense that India happens to enjoy the privilege of nurturing it. Along with the knowledge, the method of communicating the fact, "You are the whole", for our recognition has also been handed down by the tradition. This teaching tradition is called sampradaya. The guru who imparts the knowledge would himself have been taught by his guru by using this evolved method. In this lineage of gurus, Sankaracarya occupies a special place since he is totally identified with the sampradaya and has left behind this legacy in the written form. His commentaries are not only the earliest that are available but are also extremely thorough in providing the teaching in full. In our times, Pujya Swamiji Dayananda Saraswati of Rishikesh has been unfolding this very vision in English. He has also created a number of teachers by formulating a course strictly according to the sampradaya and establishing gurukulams and teaching it to the resident disciples. He is a teacher par excellence and is unique'. Among his disciples, Swami Paramarthananda is very illustrious. So, for fulfilling its purpose, this book attempts to present the traditional teaching of Vedanta as maintained by these great gurus.